Tuna Fish Cutlet is a healthy snack rich in vital nutrients. The crispy crunchy Tuna Fish Cutlet is an easy to prepare fish delicacy, very tempting and irresistible. Tuna Fish Cutlet is unique and special with cooked tuna blended with potatoes and other spicy ingredients and deep fried. Fish especially Tuna is nutritious rich in vital nutrients required for body. Tuna Fish Cutlet is one of the easiest dishes that can be prepared with limited ingredients. You can explore a well detailed Tuna Fish Cutlet here. For preparing Tuna Fish Cutlet, first heat oil in a pan. Add onion, ginger, garlic & green chillies till their fresh smell goes or till they are little cooked. Stir it continously. Add fish to it & mix well. :- Remember not to add water to it. We have to make this mixture dry. As the fish is cooked, we just have to cook it till all the water is evaporated. Add mashed potates & mix well. Add pepper powder & garam masala. Mix well. Switch off the flame & add coriander leaves. :- Just check the taste & if u need salt, you can add as per the taste. We have already added salt while we cooked the fish. Canned tuna fish already has salt in it. So we don't have to add salt again. Make small flat round shaped balls. Beat the eggs in a bowl and take bread crumbs in another plate. Dip the balls in the egg mixture & then roll them on the bread crumbs. Deep fry the tuna cutlets in oil. 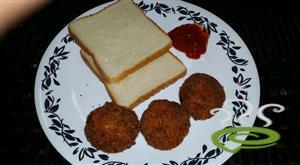 :- Serve Kerala Tuna Cutlets hot with tomato ketchup. Its really very tasty, thanks .... try to send more new recipeS. We tried this and it is wonderful one. My family loves this healthy snack. Came out really well. My husband and friends liked it. Thanks!! very tasty ! !...came out very good. my family enjoyed.keep up the good work. It was a big hit at home with my hubby and son! Thankyou so much for the recipe!!! 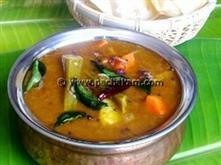 Adipoli recipe! it came out superb! went crazy about this cutlet..it was damn good.